BlackFemaleProject and Kingston 11 present RESOUND: Black Female Voices. Sponsor a youth member today. We had a great time networking with Black Vines, The Urban Financial Services Coalition, and The National Association of Black Accountants, Inc. at Geoffrey’s Inner Circle. Special guest, BlackFemaleProject advisory council member Dr. Nicole Norfles. Click HERE to read her recently published BlackFemaleProject story, The Stand for Justice. Shout out to our creative consultant Carefree Kris Creative. Honored to be invited to provide BlackFemaleProject perspective following a performance of Paradise Square at the Berkeley Repertory Theatre. In this episode, Sheryl Evans Davis, educator, organizer, and Executive Director of the San Francisco Human Rights Commission. In this conversation, Debrah Giles talks about her career journey through corporate and philanthropic worlds. 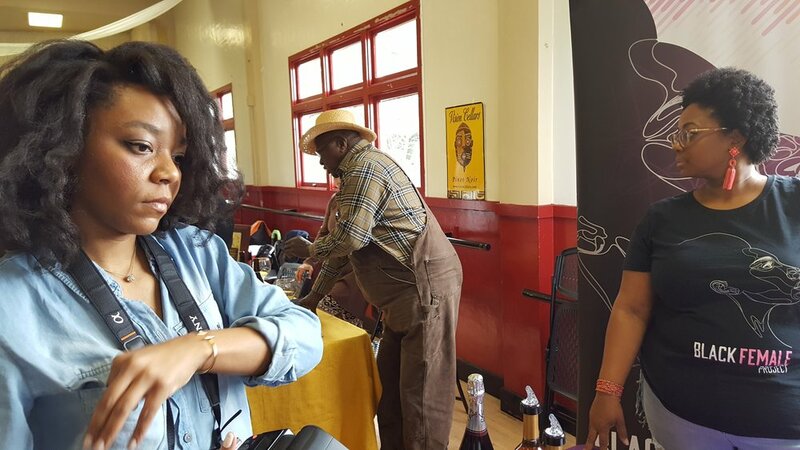 BlackFemaleProject Founder, Precious Stroud, sat down with Kris Welch at Talkies on KPFA FM 94.1 in Berkeley, CA. Tune in here!